Hear hear, another year has passed! 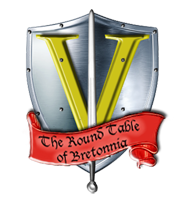 I can still remember our glorious fifth anniversary (and, in fact still have the logo in my forum signature) and now the Round Table just turned six. A lot has happened in the last year: Thanks to your supporting donations we moved to a more powerful server and we passed 4000 members. Let's hope that more exciting things are to come within the next year: passing 5000 registered members and, possibly, the release of a new army book? In any case, get ready for the oncoming celebrations which traditionally run until almost the end of the year. As usual, you can expect literature and painting competitions and the Round Table awards ceremony. May you'll even have a chance to prove yourself in joust! Watch the site frontpage and this announcement for further information about the events.